Mari Noerr's Fourth Egyptian Page of Wonders! 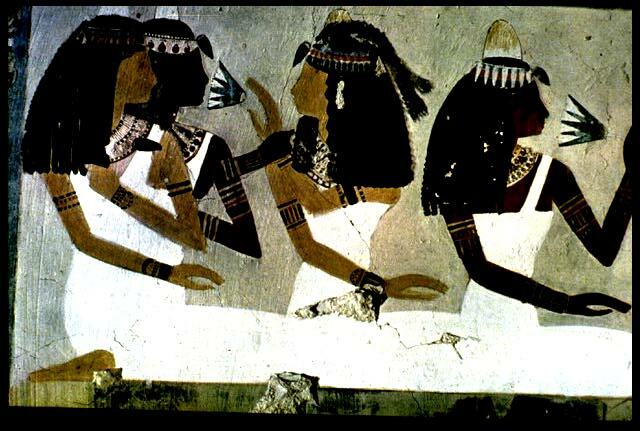 I JUST COULD NOT GET ENOUGH OF EGYPTIAN IMAGES! I HAVE CREATED THIS FOURTH PAGE OF EGYPTIAN WONDERS to formulate the text I will insert in all the pages. As graphics take most of the time to load, I decided to do those first. And.......as it takes a couple of weeks for the web pages to hit and run on the search engines, I took the time to start the pages and enter them in the search engines first, to get a running start. I do hope you enjoy looking at them, as much as I enjoyed looking at them. I will edit the text and graphics to be educational for all ages. The print will be easy enough for the younger members of the family to read. If there are any questions, further, on the subject, an encyclopedia is a good place to look or I can be written to or e-mailed to. I have left my contact addresses on many of these pages. Thank you. OF COURSE, that is Yuhl Brenner, before he died, in a movie playing a pharoh. 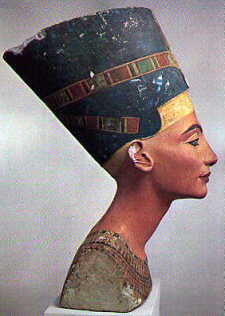 The picture below, is another actor, I do not know who, playing a pharoh, also. The image just above is a cartuche of one of the kings from the 12th Dynasty in Egypt. They used to wear their names on gold tablet form pendants. 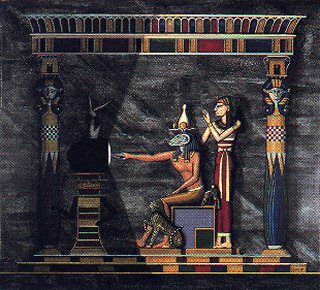 I DO NOT THINK EGYPTIAN GODS AND GODDESSES HAD TV TO WATCH YEARS AGO, now Egyptian people have TV. I came across this on the internet, and thought it was wonderful. Great artist, whoever he is. 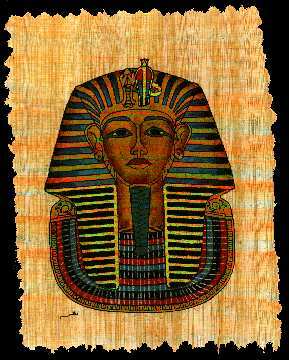 The above is a painting of Tut on papryus, most likely King Tut, as he was the most widely painted and photographed artifact from Egypt. Not to many of the artifacts from the older dynasties survived the grave robbers. Unfortunately, the grave robbers actually robbed themselves of their own heritage, as they stole the remains from the graves of the kings and pharohs. Now, there is very little of the enoumous wealth and knowledge we could of had. I will only put up a few of these types of paintings. There are many more, but as I am trying to put up as many different types of remnats from Egypt as I can, I am running out of space. 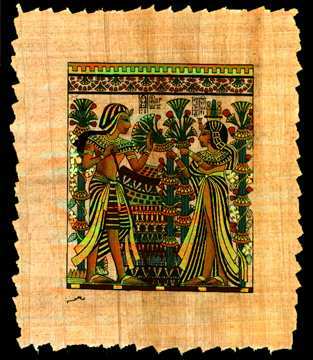 If you enjoy these pages of Egyptian images, please e-mail me and let me know what you think. I have lots more I could put up.......but maybe on another free web site, as this one is amost full. 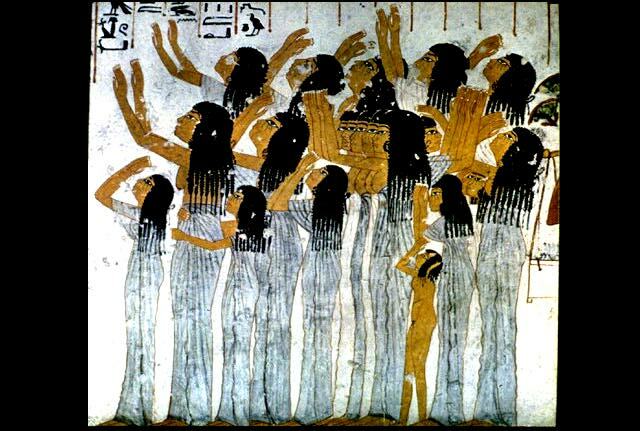 The links above will giive you Biographical and Historical Education on just about all the artwork from my Egyptian archives and images that I have put up on these web pages. They also have provided you with links to other sites that can give you more information. My main thrust is to show the artwork for those of us that will never be able to go to Egypt to see the spendors of Egypt. 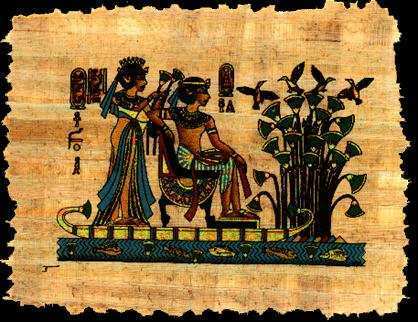 Did you know that there are more than 750 different hieroglyphs and individual signs in the old Egyptian language, and that the language was never heard? It has taken some brillant and knowledgeable scholars to work a multitude of hours just to figure out what we have come to take readily as the Egyptian text. 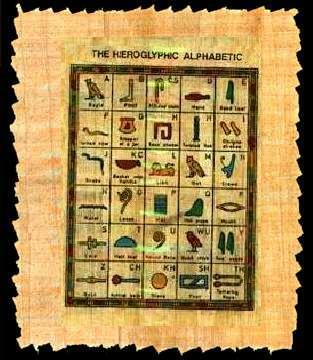 The language in the Ptolemic Period was called Coptic. It was actually written in Greek letters. Learn something new every day. The Coptic language was associated with the Rosetta stone. I have more images below. Hope you enjoy. 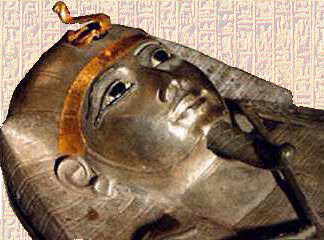 There is not enough room yet.......even.......for the images I have uploaded to this grouping, so there will be a fifth page of Egyptian images. It will come after the next page, which is dedicated to my daughter Stephani, as she loves frogs. Then, WATCH FOR MORE WONDERS in a page or two. Thank you. Mari.